What Are the Dangers of Skipping Breakfast? 3 What Kind of Food Do They Eat at Hawaii? Irish food remains the traditional "working man's" cuisine. It is characterized by simple cooking methods and little reliance on elaborate sauces and spices. 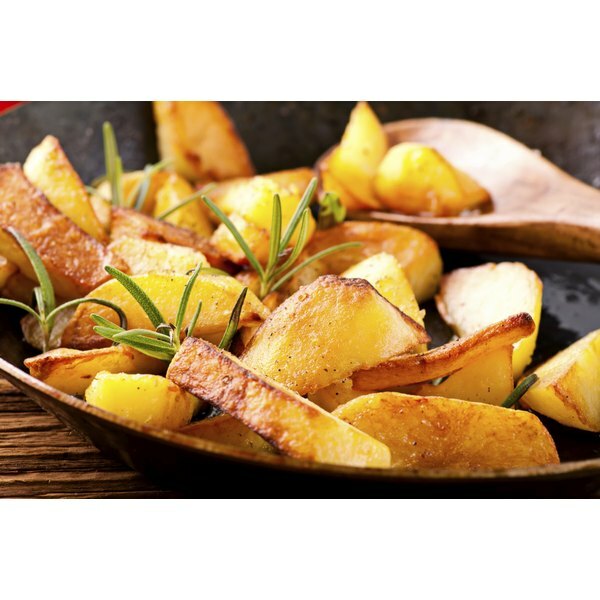 Most households still eat the tried and trusted combination of roasted meat, green vegetables and potatoes, although this has shifted to more organic produce and healthier meals. 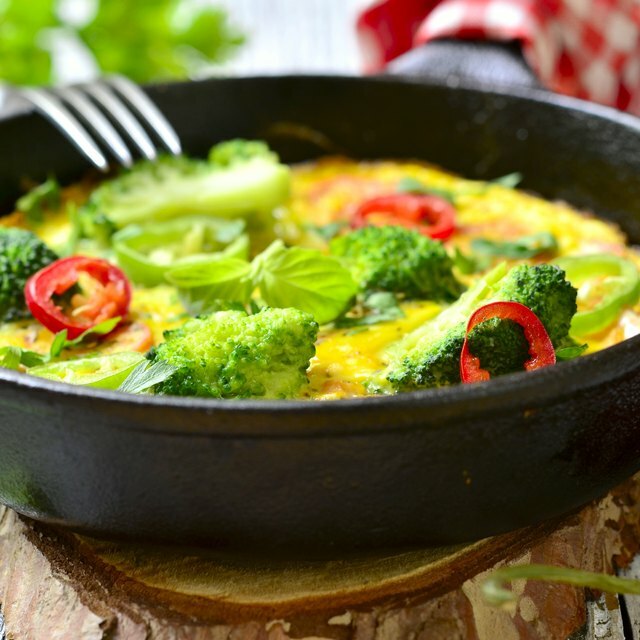 Along with the influx of fast food and takeouts you'd find anywhere in Europe, many people still eat classic dishes, which have gotten modern makeovers and are having a resurgence in popularity. Irish food is undeniably dominated by the potato. It is the main focus of most meals and potato-only dishes are perhaps Ireland's most famous culinary exports. Colcannon is creamy mashed potatoes mixed with curly kale or cabbage. It is often eaten with roast meat dishes and accompaniment to casseroles. It is also highly popular in northern Europe. Boxty are salted potato cakes served both as a lunchtime snack and as a filling standalone meal. The potato was introduced to Ireland in the 16th century and has been a staple of the Irish diet ever since. Breakfast has always traditionally been the most important meal of the day for Irish people, especially in rural areas. The great Irish breakfast is typically filling and gargantuan, originally designed to build up strength for a long day in the fields. An Irish cooked breakfast consists of crispy bacon, pork sausage, stewed tomato, eggs and black pudding. It is often accompanied by a bowl of oatmeal porridge and strong tea. Simple toast and cereal tends to be just as popular in urban areas as a healthy and less time-consuming alternative. Meat plays an important role in the average Irish diet, with chicken, beef, pork, lamb and mutton all making an appearance. Simple bacon and cabbage is one of the nation's most famous dishes, requiring little preparation or cooking time. Coddle is another staple meal, made up of boiled pork sausages and an assortment of country vegetables in broth. Ireland's fast food culture includes burgers, fried chicken, Turkish-style lamb kebabs and fish and chip shops. Diners can find prime cuts of venison, pheasant and duck in upscale modern Irish restaurants and these are now beginning to make an appearance in supermarkets. The Irish have always been great lovers of seafood. Its seas and rivers are filled with rainbow trout, salmon and cod and the Dublin Bay oyster in particular is a major export. Seafood is comparatively inexpensive in Ireland and found in thick soups and casserole dishes. Cod roe, smoked salmon and poached trout are often eaten at home as a light evening meal. Cod and Atlantic haddock are the main ingredients for traditional fish and chips. Ray Montgomery has more than 10 years experience as a travel copywriter, journalist and editor. He has produced more than 2,000 pages of published travel writing for premium magazines, major hospitality brands, websites, travel guide books and travel apps with a focus on SE Asia tourism. He holds a Bachelor of Arts in travel management, as well as a diploma in journalism. Can You Use Frozen Vegetables in a Raw Food Diet?